Kabuto : 64 plates nice iron kabuki. Fukikaeshi is nice condition. Maetate : wood mandate with black urushi nuri. Menpo : Old iron plate menpo. Do : Honkozane style wonderful nice Do. 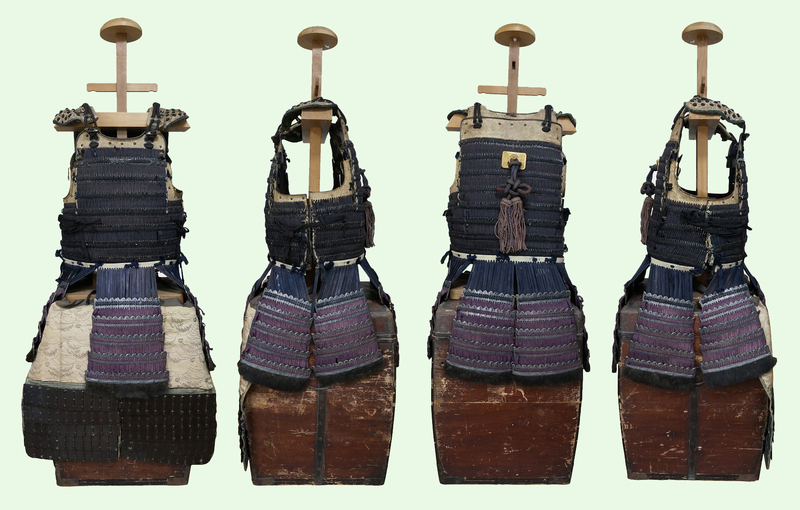 Sangu : Kote,Kusazuri,Ashi: is nice condition. 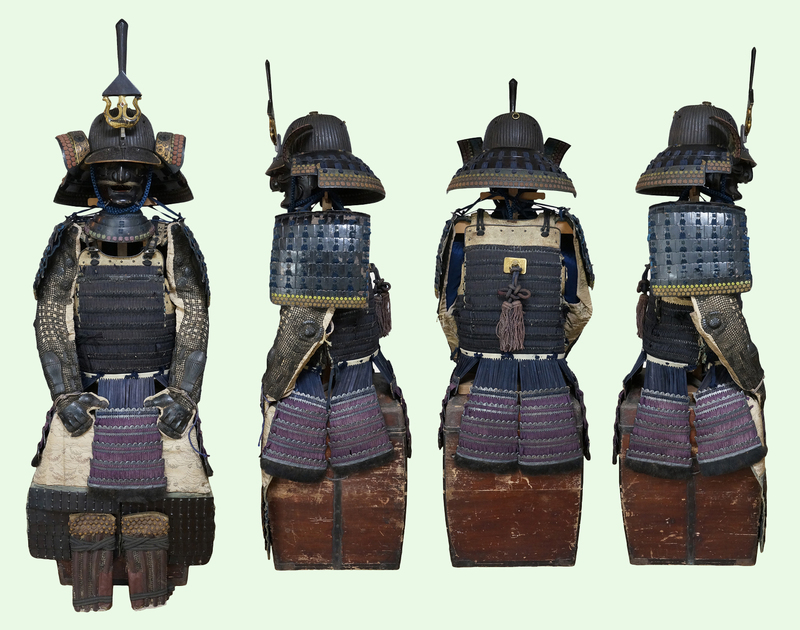 Special feature : I think this fantastic Yoroi and kabuki was used by high ranking general class samurai. Kabuto is very good condition and also do. Other fittings are nice condition.